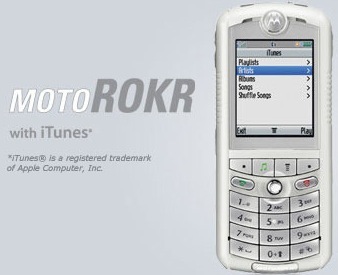 …this was the first iTunes enable phone. We’ve come a long, long way. This entry was posted on Wednesday, July 8th, 2009 at 1:41 pm	and is filed under Hardware, Phone. You can follow any responses to this entry through the RSS 2.0 feed. You can leave a response, or trackback from your own site. I agree, that is my very first mobile phone, back in the days that phone was the best on it's class. I love to death not until I got my recent iPhone. that was too long ago..and look at now the designs of the new phones.. they developed a lot! Hi, nice phone !! What's the best, easiest and cheapest way to put music on a motorokr? Recent innovations on our lives makes our lives more fun and exciting, you made me realize that we really come a long way and the specs of the phone on my hand right now is far from that one.. I wonder what's next! motorola has always been advance when it comes to music, it's their phone that has the first fm radio feature.. this is great! i have always wanted to have this model but everytime i try to get one for myself, all stores and business centers i asked they were all sold out and out of stock. my partner and i wanted to get ourselves of that, like “his & hers” thing. i still want to have that now as my second phone. thanks for posting. i am still using this phone. its my favorite. My brother uses this one, seems to be happy with it's features. I am so glad we have gone further than this and I can not wait to see what they can do 20 years from now.